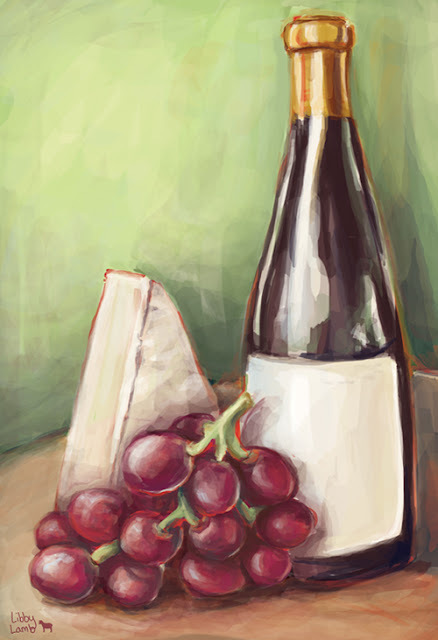 Libby Lamb Wagner: wine, grapes, and cheese, yum! November 3rd - wine. I had a lot of fun with this one, I tried to use Photoshop like I was painting traditionally with oils. So no paths and no fuzzy erasers.